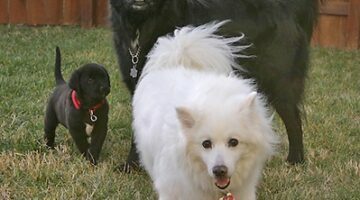 Following are some things to think about BEFORE bringing your new dog home -- like whether you should get a puppy or an older dog, some facts about different dog breeds, what you should do during the first days home with your new dog, and some fun ways to get to know your dog better and begin the bonding process. Not sure where to begin? Start here --> Puppy Care 101. Looking for a name for your new puppy or adopted dog? If you’ve got a girl dog, then you’ll enjoying looking through this list of the best female dog names, plus cool baby names that also make great dog names! Looking for a name for your new puppy or adopted dog? If you’ve got a boy dog, then you’ll enjoying looking through this list of the best male dog names, plus cool baby names that also make great dog names! For some clever ways to choose the perfect name for your dog, use these pet naming tips and free online tools to find unique dog names and unique puppy names that mean something special.